A lot of people have talked frequently about the inconsistent and long gaps between Wii game releases from Nintendo. No one is necessarily mad at Nintendo about it (outside of refusing to localize games they already have), but many admit it’s annoying and that Nintendo could maybe better pace itself. What people are going to have to realize about the Wii U, and why Nintendo is so insistent on getting the third parties super involved, is that without their support the Wii U has a very slim chance at success. This seems contradictory to even a statement I made in the comment section earlier today, where I said plainly Nintendo can survive off it’s own games on it’s own hardware without outside support. While that was clearly true this generation and the last, I’m not sold that it will be true moving forward. Nintendo isn’t about to get lazy, but lets be realistic about development cycles shall we? Ask any third party publisher, and they will tell you the biggest difference with this generation compared to the last (in talking about the 360 and PS3) is that the development costs skyrocketed. It takes more time, bigger teams, and obvioously more money to create games that deliver that true HD experience. We’re simply talking about games that take advantage of that increased resolution to enhance the game itself, not just those that spend a ton of money trying to recreate reality. All games displayed in HD simply cost a lot more to make than they did when it wasn’t in HD the previous generation. If you set that aside as well, just look at hte development cycle for Skyward Sword. All indications are the game is excellent, but it took 4 to 5 years to put that game together on a system without HD. Toss in a new controller that Nintendo will want to innovate with, and outside of the party games were looking at even longer development cycles moving forward. Some may cry foul: Assassin’s Creed comes out every year, so does Call of Duty. 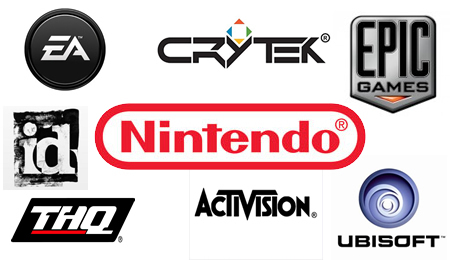 So why can’t Nintendo simply have these big franchises roll out more often? Simple really – Nintendo rarely uses the same engine more than a couple times. They recreate the wheel, if you will, on almost every other entry to a series. Skyward Sword started out with the Twilight Princess engine before they morphed it into and entirely new engine. Mario Galaxy 2 used the same engine as the first Galaxy, but it’s likely Super Mario 3D uses a pretty altered version of that engine. This is good for Nintendo, and it’s what makes them so great. They are constantly evolving every series they make. If you thought there were gaps this generation from Nintendo, it’s only going to get worse. Nintendo knows it, and the smart fans know it as well. Nintendo is going to need more time to create the greatest experiences we have come to know and love. Hence the massive U turn (get it) to try and grab 3rd parties. It doesn’t mean Nintendo was wrong this current generation, it just means they slightly delayed the inevitable cost jump in production by making it be about the controls instead of the improved visuals and bigger game worlds. Nintendo couldn’t avoid that game forever, because their market is shrinking for the Wii. They could release great games for the Wii for the next decade, and some will still play. However, most of it’s market will have moved on if they haven’t already. It could take 2 to 3 years to make a core Mario game (not something like Super Mario Bros. Mii), and 4 to 5 to make every future Zelda game. Maybe even longer for this first one on the system (could we really be waiting 6 to 7 years for a Wii U Zelda? We very well may be heading that direction). Metroid? At least 3 years. The point here is that development cycles are going to be longer than they are now, so if Nintendo doesn’t have 3rd party support there will a lot of really long gaps (like this year, ironically enough) where there just is nothing to play and no need to use your Wii. I am not shying away from the fact that this year I have pretty much PC gamed and ignored everything Nintendo because there wasn’t anything interesting to play. 3rd Parties are about to be the make or break aspect of the Wii U’s life. The Wii U needs third party support, and we need to want to have that support as well. The biggest fear for 3rd parties has always been “can my game sell without having Mario in it?”. It can, but they have to be willing to try first. Monster Hunter Tri proved games can sell, just needs the right marketing. So, while we will be waiting longer for the games we love, we should still expect the great experiences we have always gotten from Nintendo. We just need some great third party games (ports are nice, exclusives are better) to really fill in the gaps. If Nintendo can garner the right support, than they can really avoid a lot of fan bitching about nothing to play while we wait for the next Starfox, Mario, Zelda, or whatever game they are focusing at that time. Oh, and it would be great if they localized games they have avoided for years too. That’s just icing on the giant cake Wii U is going to need.